The “Camino Through My Eyes” series is becoming a big success and I’d like to thank you all for stopping by. It’s interesting reading other people’s perspectives and it sure backs up the phrase “No two Caminos are the same”. Last week’s contribution from Terry McHugh has seen quite a bit of traffic since I posted it. This week I am delighted to introduce to you Maggie Woodward. Maggie is just fresh from completing the Camino Mozarabe, and she has posted a YouTube video, so check that out. I asked for Maggie’s thoughts to the questions I posed to my previous guests. By the way, you can find Maggie over on Facebook so make sure you give her a “like”, and her website magwood.me is packed with information for anyone about to take on the Camino. I’d like to thank Maggie for her time. I’m not sure how I became aware of it. I knew it existed but had no thought of walking the Camino until my daughter invited me to join her. She wanted to walk the Camino to celebrate her 30th birthday. I had never walked for pleasure before, so needed to do a lot of training. So my first Camino was the Frances route from St Jean Pied de Port to Santiago and Finisterre in April / May 2013. I suppose I started to train seriously 2-3 months prior to setting off. I googled and discovered two pilgrim forums where I could find every piece of information I needed. I also searched for blogs of people who had walked. My daughter and I had originally planned to only walk for a couple of weeks, but the more research I did the more I realised that I wanted the ‘real deal’ – to walk from St Jean Pied de Port to Santiago de Compostela and beyond to Muxia and Finisterre. So yes, I have to agree with you that research is all part of the journey, and the planning for my first Camino was very exciting – I thought of little else for quite a few months. Try not to have any pre-conceived ideas. If staying in albergues, take ear plugs. Walk your own pace, don’t try to adjust to someone else’s – you can always stop and wait for walking partners at certain points along each stage. Be aware that you are likely to hurt, a lot, for the first couple of weeks, but it will all get easier as you go along. Three Caminos down the line, I don’t even think about taking my boots off now when I arrive at my destination, whereas on my first Camino the thought of removing my boots was never far from my mind. Seriously consider using trekking poles. Knee pain on my first Camino – I took many painkillers (pilgrim’s candy), but on subsequent Caminos this has not been a problem. I have always stayed in Albergues and I was always more worried about the lack of privacy in dormitory accommodation than about the actual walking. It can be difficult, especially when beds are pushed close together so that it is like sharing a double bed with a total stranger (and some pilgrims can be very strange!). I still find this a bit of a strain, as I do like my own ‘space’, but I still choose to use Albergues rather than private Hostales. I have had a few exceptional meals along three Caminos, probably most enjoyable on the Portuguese – good hearty soups in particular. But I am not a fan of the pilgrim’s menu, which is often poor quality, carbo loaded to fuel an empty tank. I much prefer a single course of quality food or to make myself a lovely salad. I miss fruit and vegetables when I am walking – I eat a lot of fruit at home but surprisingly it is not always easy to buy in small villages along the route. I also loved Molinaseca but most of all I loved the tiny stone villages – most particularly Santa Catalina de Samoza, which has been tarnished now due to the murder of Denise Thiem in that area. To be honest, on my first Camino I was too tired by the time I arrived at my destination to have any energy for sightseeing. But I got to know and absolutely fell in love with Santiago de Compostela. On my second and third Caminos I had much more energy after my arrival at each stage and did plenty of sightseeing. On the Portuguese route there are countless beautiful towns and cities to admire and enjoy and also on the Mozárabe. 7) One can feel a range of emotions on arriving into Santiago de Compostela and seeing the Cathedral standing tall in he Praza de Obradoiro. 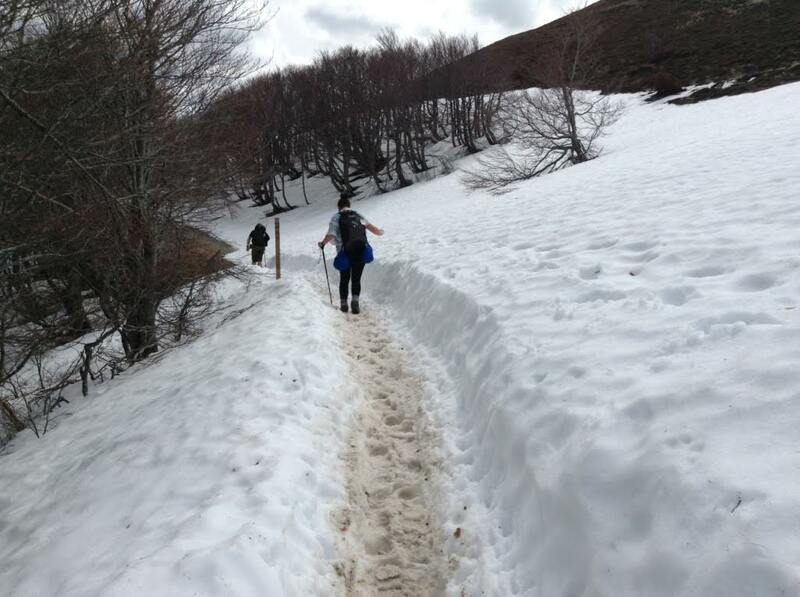 How did you feel when you completed your Camino? On arriving at the cathedral for the first time back in 2013 I was overcome with emotion. I am not a religious person but something about this majestic place, coupled with the joy at having reached my destination, left me lost for words and only able to sink onto a pew and weep uncontrollably. I am always drawn to the cathedral when I am in Santiago – it means a great deal to me. My reaction on reaching the cathedral at the end of the second and third Caminos was not much different to the first experience. 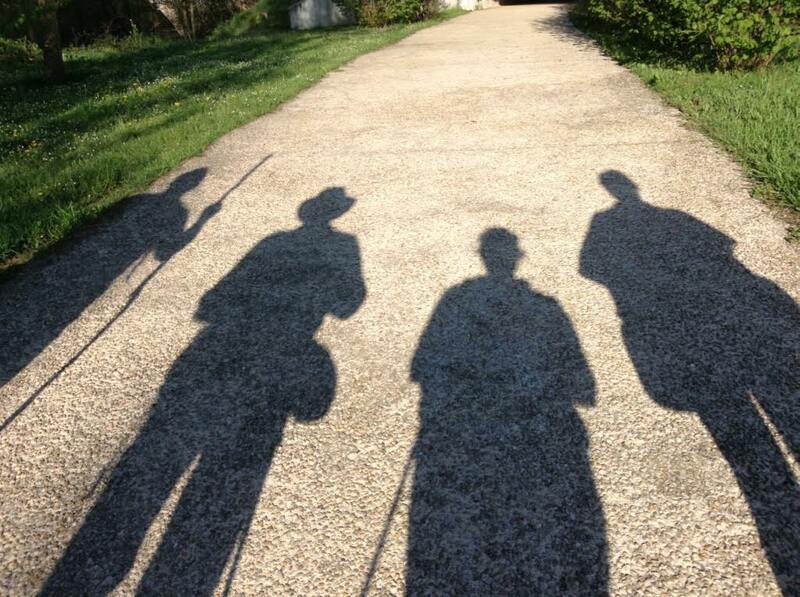 8) Looking back, do you think you were prepared for your first Camino de Santiago? Have you or would do something different? I was as prepared as I could have been, as a newbie to long distance walking. I had researched and prepared very well. There is very little I would have done differently – maybe I should have been more independent of my daughter, who is an experienced traveller and backpacker – I should have let her do her own thing a bit more. But I couldn’t have been too overbearing because she wants to walk with me again next year. Just a short post before I finish up for the night. A friend from Spain has recently renovated an apartment in Donostia / San Sebastian and is looking to rent it to tourists. San Sebastian is located in the heart of the Basque Country and the apartment is right beside the coast. I may stay there in the future myself. Full details and photos can be found at www.iberianholidayrentals.com and there is an email address at the bottom of the page if you are interested. So this is my first post since Christmas, and no better time to write since I am back to work tomorrow. I am expecting a busy day tomorrow after the high winds over the Christmas period. I hope you all had a happy and peaceful holiday and are looking forward to 2014. I managed to get through 2013 without breaking anything, or being convicted of anything (joking, of course). I am looking forward to 2014 as I do with every year, but I have chosen not to make goals or resolutions. Over the last number of years, I have made two or three loose resolutions with the hope that I achieve any of them. I never do. I’m not a goal driven person, but I can understand why people make them. The one idea I have, and this is a challenge, is to reduce my reliance on social media. I know a lot of people on twitter, and facebook, but very few I have met in person. I’m not trying to withdraw myself from them, but I want to go about meeting people in another way. I could tweet and post all day, 7 days a week, and it wouldn’t be fair on myself. So that is a resolution I have made for myself. I wonder how it will go..I shall keep you updated. It is also close to 5 months before I pick up my backpack and head back to Spain for another few days. I had originally planned on leaving it for a year or two, but I think about Spain every day, it is close to an addiction. So I fly to Biarritz on May 28th, and start on May 29th from St Jean Pied de Port. I will walk for 10 days, so I reckon I will get to Santo Domingo de la Calzada. I have no idea. I will get a bus back to Bilbao and fly back to Dublin after that. I just need to buy new shoes as the ones I own are coming close to the end of their lives. So tomorrow I am back to work, and I am expecting it to be busy. I have had a very long break so I can’t complain. Oh, and I bought myself a new laptop..well I was forced to do so. The one I own crashed on me and I was unable to recover any of my files. Not happy with that. But this one is pretty sleek, and I kind of went over my means, but there is no harm in spoiling myself once in a while. Hi folks..I’m back. I find it hard to believe it is a month since I put finger to keypad and wrote. I guess life got in the way. I keep meaning to sign in, say hello to everyone and then sign out, but that is a little too much like facebook. I even forgot my password! I’ve just finished brushing down some cobwebs while reading some posts written by some followers. I may as well say where I have been all this time. Don’t worry..I haven’t left Dublin or anything..I haven’t decided to pack my bags and move to Spain on a whim..although I would jump at the chance. Incidentally, a few people have told me that now is an ideal time to take that extended break. I have no ties, no mortgage, no children..it’s a great time to do it. It’s a nice thought alright, but….maybe later! The word “regret” automatically leaps into my mind! As you are all aware (if you have been reading my blog), I have a mortgage approved for quite some time. I have been looking here and there and had pretty much bought an apartment in north Dublin. I was beyond happy as it was central and the prices are getting higher, so I got a good deal. But before I signed on the dotted line, I wanted to check one final thing out. The original architect’s report..drawn up in 2000..which was by chance in the middle of the riddled Celtic Tiger. I wanted to see if he had approved the build. But he didn’t. He denied liability, as there were no fire breaks in the walls. The words “Priory Hall” jumped into my mind and I ran from that sale as fast as I could. I’m delighted I didn’t sign as I would never be able to sell in the future. I have pity on the current owners, they will have a tough time trying to sell it. Imagine if there was a fire there…actually no, don’t! So I am back to square one and I’ve decided to wait until the new year to start looking again. 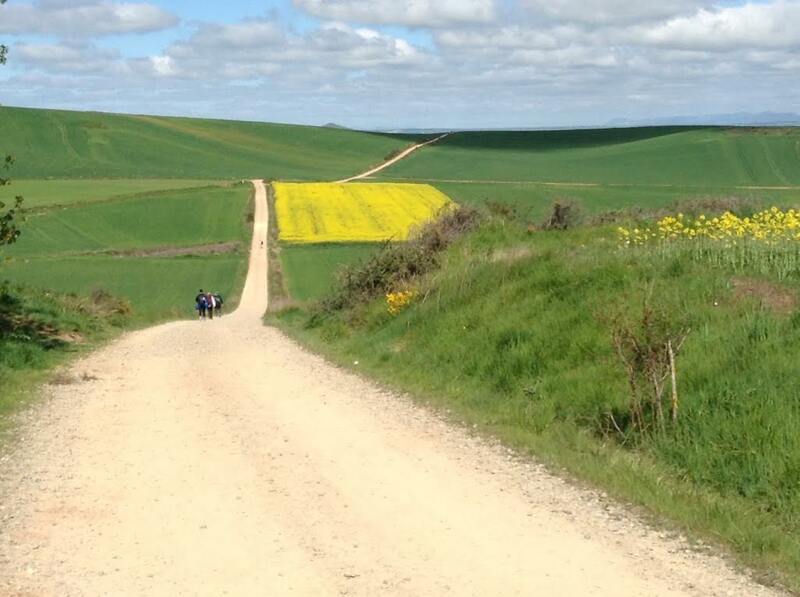 I have decided to go back to Spain to finish the remainder of the Camino, but not until September. I have gotten used to the May / June time slot, and I wonder what it will be like in September. I reckon 10 days will be enough and I will have it completed. I may leave it a few years after that and walk the full stretch…for my 40th! Who knows? I am meeting some folks I met in Burgos in May before Christmas. It will be great to see them again. And I hope to see a few others who plan to visit Ireland from Canada and France respectively. I’m actually looking forward to walking the first few stages, they aren’t busy and there are no day trippers, unlike in Galicia. He terminado mi clase de español para el año, pero no sé qué hacer ahora. Creo que necesito más prácticas de conversación! You might need to use Google Translate to figure out what I said there, but it’s about learning Spanish 🙂 Oh..if you are planning on learning the language, you shouldn’t pay a dime..you should 1) visit duolingo.com 2) read El Pais online and 3) watch a Spanish speaking channel. You will pick it up very easily. And practice makes perfect. Surrounding yourself with like minded individuals helps too. That goes for any language. Rosetta Stone..ripp off, more like!! Well I think that’s about it from here. I have a few e-mails to write and an episode of Breaking Bad to watch. Yes, yes, I know it is finished but I am still catching up. I’ve avoided spoilers for a while so I’m doing well!! From reading my blogs over the last few months, you might have noticed I have an interest in Spain and it’s language. It’s true. It’s an interest and whether it is unhealthy or not, I’ll leave it you to decide that. The language itself is one I want to be fluent in and hopefully I will be someday. I got the ball rolling in February of this year, I started a beginners course in Spanish and I learnt a lot from it. I felt confident in what I knew and added to that by listening to some podcasts, and by writing to Spanish speakers in their native language. I did my level best to speak some few lines during my time in Spain. So I had planned. What I found out was how little I knew. Yes, I could order a drink and ask for directions, and yes, I could talk about the weather and how bad or good it was but my knowledge was limited. I didn’t know much else. It didn’t help either by meeting people from non-Spanish speaking countries. I could have gone out of my way to meet some Spanish people, but it’s in the past now! Anyway..ten weeks of beginners Spanish doesn’t really help but it does give you a taster. Since then I have done more reading, listened to more podcasts and written more emails to some friends abroad. That’s all fine and well and anything that makes me understand the language is great. To reciprocate is another thing. I started back last Monday to an improvers class at the same college. Another ten weeks would help me improve I thought..why not give it a go?! I met some people I knew from the first course and some had kept their learning up. Others had joined in with sufficient knowledge that they didn’t need a beginners course. This class would be all in Spanish I was told. Ok, I find it hard speaking in English to a group, but in Spanish? The nerves kicked in. Next we were told we needed to talk about ourselves for a while. Fair enough..that can’t be too bad?! I started off and after about a minute or so, the dreaded “umms and ehhs” kicked in. Next, one of the better members of the class stepped up. She had brilliant Spanish and I was left wondering why she needed to take this course?! Even though she sat a metre from me, you could see the gulf from a mile. I really did think about dropping from the course after that class. But if I do that, I won’t get any better.